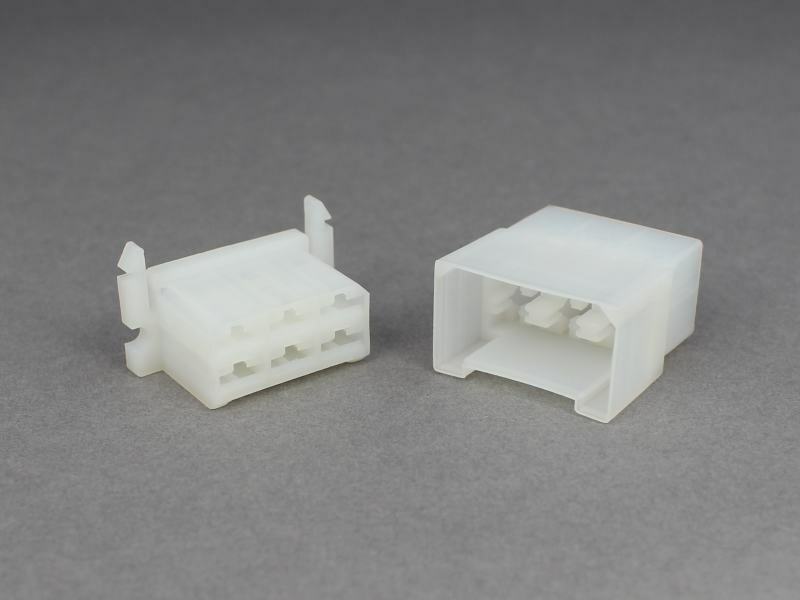 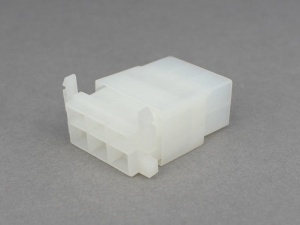 6 way, quick release nylon connector block housings for use with non-insulated 6.3mm male and female blade terminals with locking tabs. 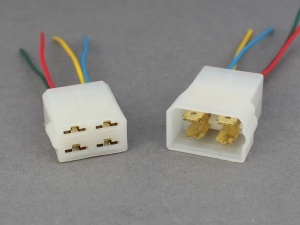 Note: Male blade terminals fit into the female connector housing and vice-versa. Sold as a male/female pair.